Adventure travel requires an element of caution with your hygiene and meals chosen when it comes to your health. You can sometimes find experiencing unusual or foreign sources of food and water or even different environments has the potential for your body to react in different ways. Combine that with our adventurous escapes of early rises and prolonged activity our bodies can sometimes falter a little. Getting sick on tour is a real bummer however in many cases it is definitely avoidable. Simple advice like good hygiene, eating well and getting ample rest is a good start. Should you get sick please advise your tour guide and they will be able to monitor and assist you. 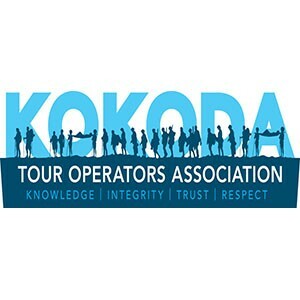 We may even alter the tour program slightly to help ensure we look after all of our clients. In most of our Adventure travels we do not simply have the convenience of dropping into the local drug store or pharmacy to pick up some medications and availability of a doctor is even more unlikely. So in order to complete what we set out to do we recommend you visit your doctor long before your departure and discuss the emergency medications he/she can prescribe to you to keep you on the tour. Carry things for bad gastric, stomach upsets, cold & Flu’s and skin infections are the most common problems we can encounter. Nepal’s Everest Base Camp trek can see people coming down with chest and lung infections although medications can be sourced with varying difficulty on the tour depending on your location. Remember if you suffer from any sort of issue from time to time it may be worth your while to bring a small amount of medication to treat that problem. This is one of the most important things an Adventure traveler should consider before taking on one of our Escapes. Most people will need some sort of injection or medication for their tour and if you have not been immunised at all in your life you could expect to be shelling out $4-500. Most travelers have had some treatments so you could expect to pay between $1-300 for immunisations and or medications for the tour. We recommend you see the Travel Doctor for advice on what medications and immunisations you will require. Please note warnings and advice can change at any time, so please see your doctor. Health Information for each tour is contained in the individual tour information on this site. Please examine the tour of interest for the health information you are looking for.